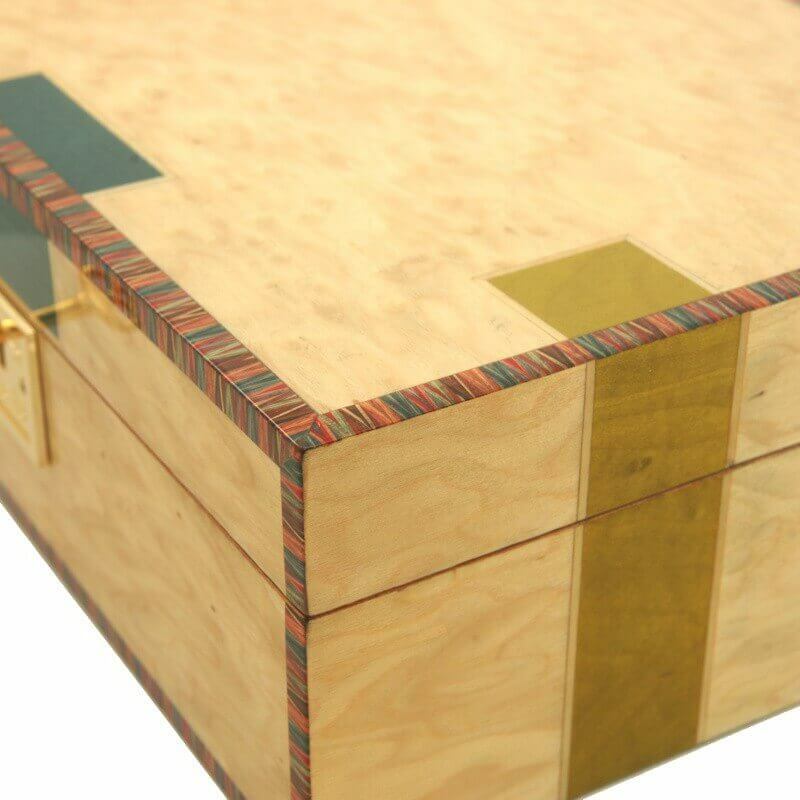 Your premium cannabis deserve a premium storage place, with no nonsense, hassle free humidity control inside. 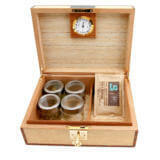 This is our Artisan Limited Edition powered with Boveda cannabis / weed humidor. 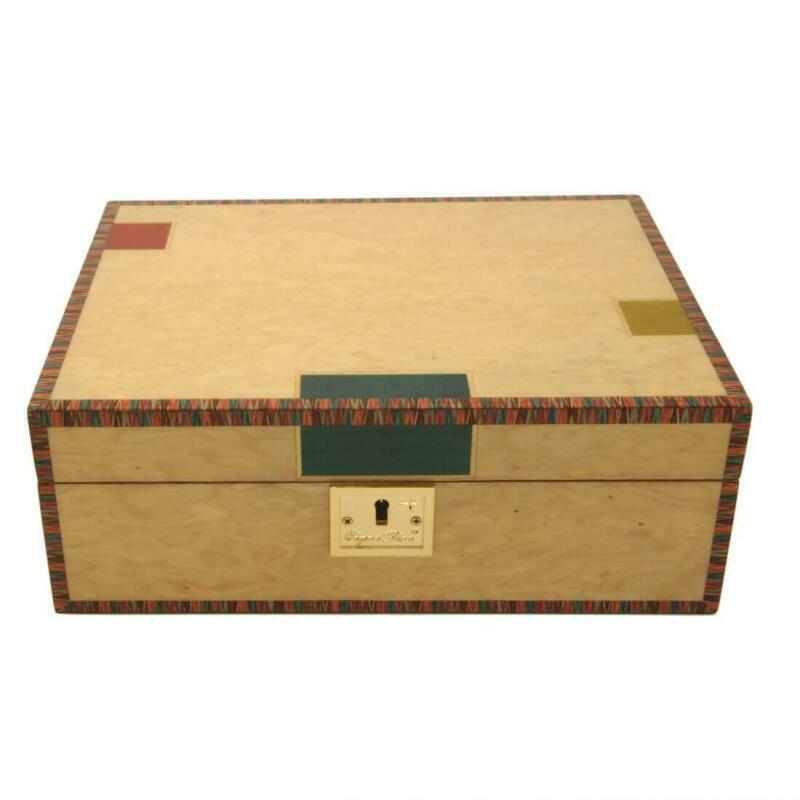 First of all, your premium cannabis deserves premium storage, with no nonsense, hassle free humidity control inside. 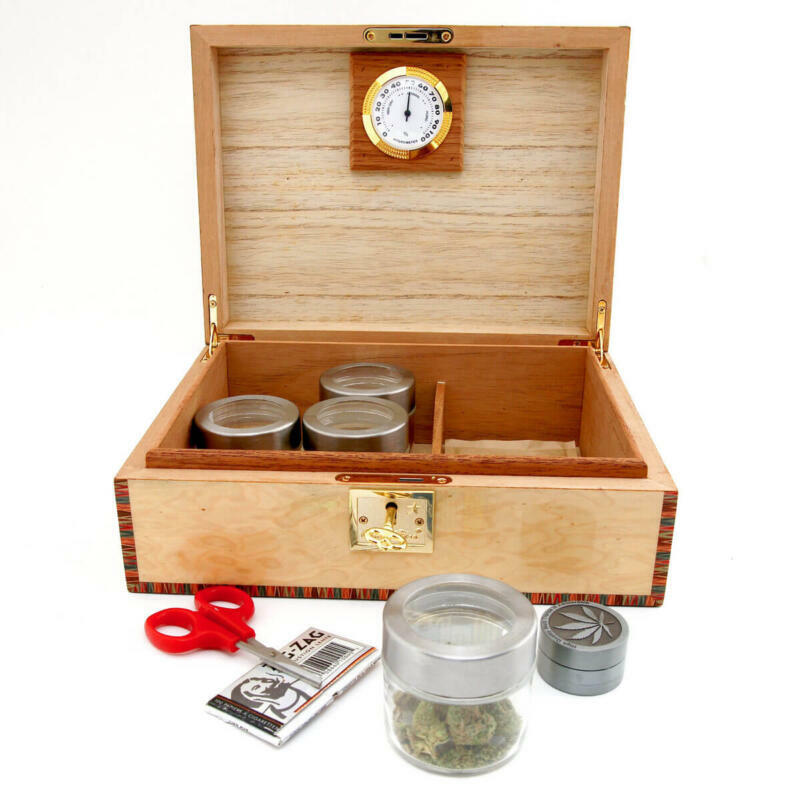 Did you know, our Artisan Limited Edition is powered with the global leader in two-way humidity control with Boveda packs inside our cannabis humidor / weed humidor? 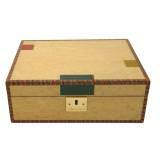 The Artisan humidor is made from bird’s-eye maple multiple laser cut inlays dyed red, green, & blue. Along with those intricate inlays, we also incorporated a collage of multicolored accent inlay around the front edge sides and bottom of the this humidor, most importantly 15 coats of lacquer that make the grains of wood dance as you walk by. 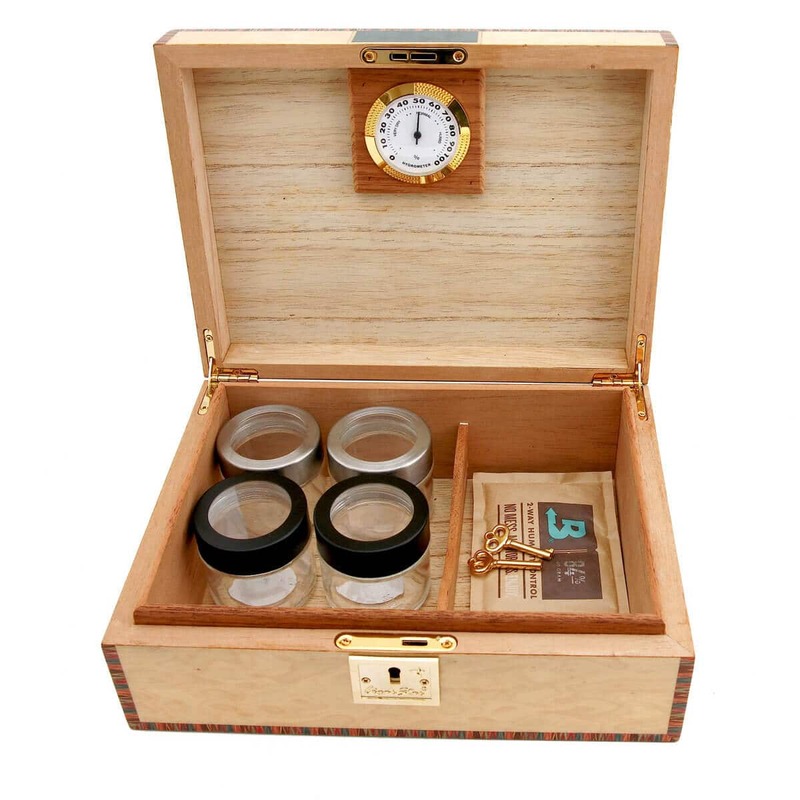 Above all, the perfect Two-way humidity inside your Cannabis humidor. 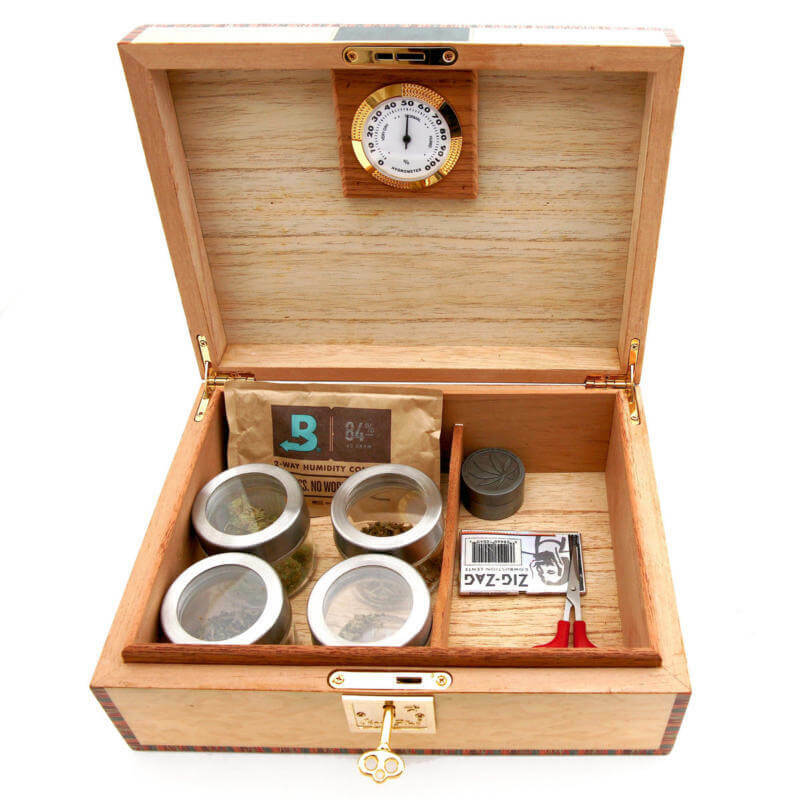 One 62% Boveda pack fits perfectly any where inside your cannabis humidor. 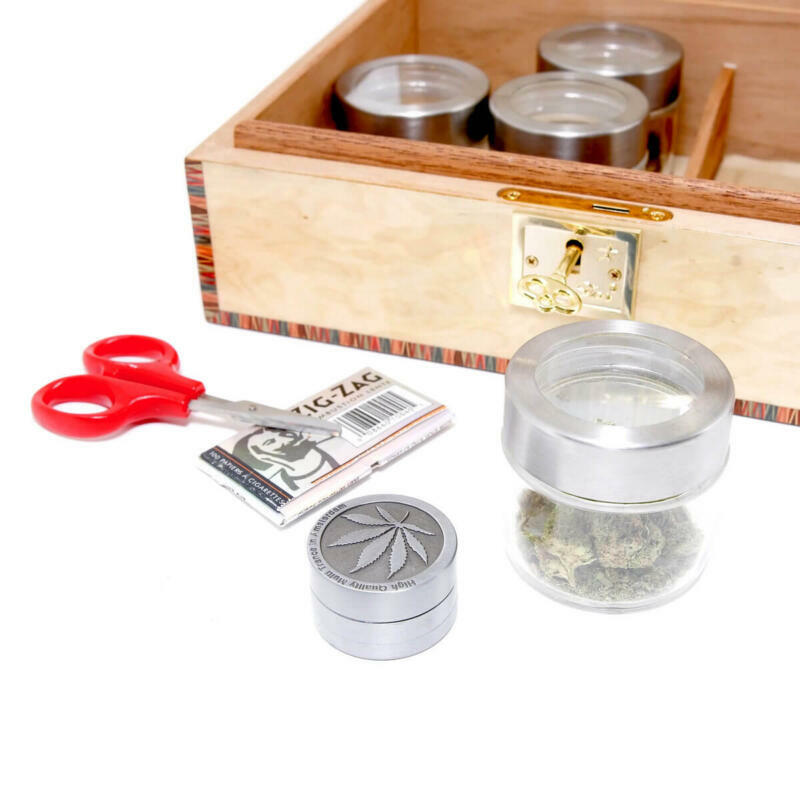 Furthermore, this ensures premium buds are kept in the perfect environment until your ready to enjoy! 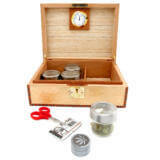 Furthermore your buds improve with time when they are kept under the best temperature and humidity conditions. Exquisite aging and storage allows your herb to remain in the best quality and above all provides a more refined taste and more complex aroma. We give you all the tools necessary inside any one of our cannabis humidors to keep you buds at there best, because we understand the importance Cannabis storage! 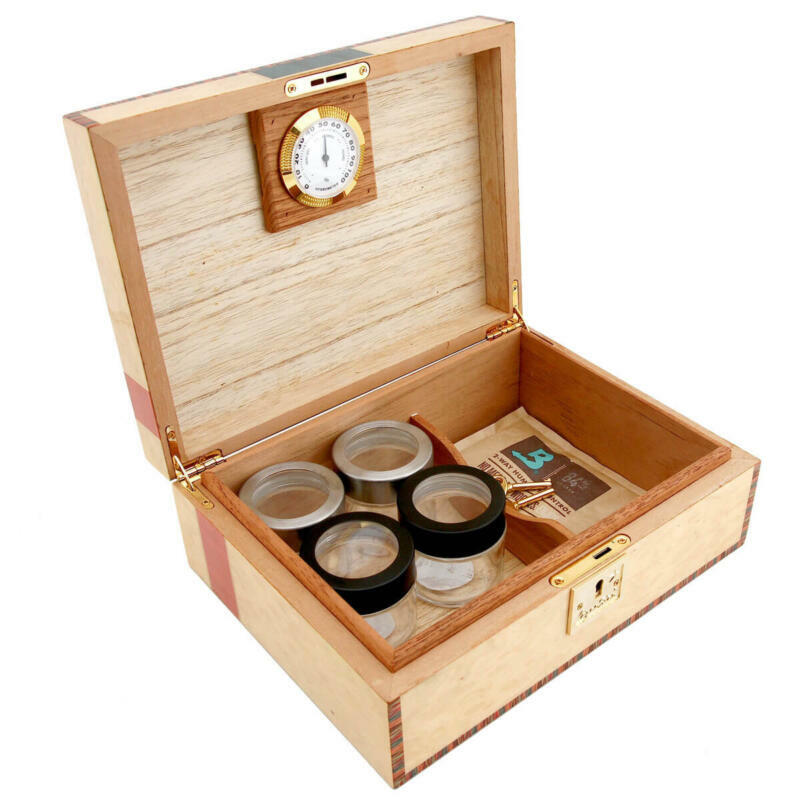 Finally, this humidor is lined inside with mahogany and Spanish cedar for the reason that it provides ideal conditions for your stash. 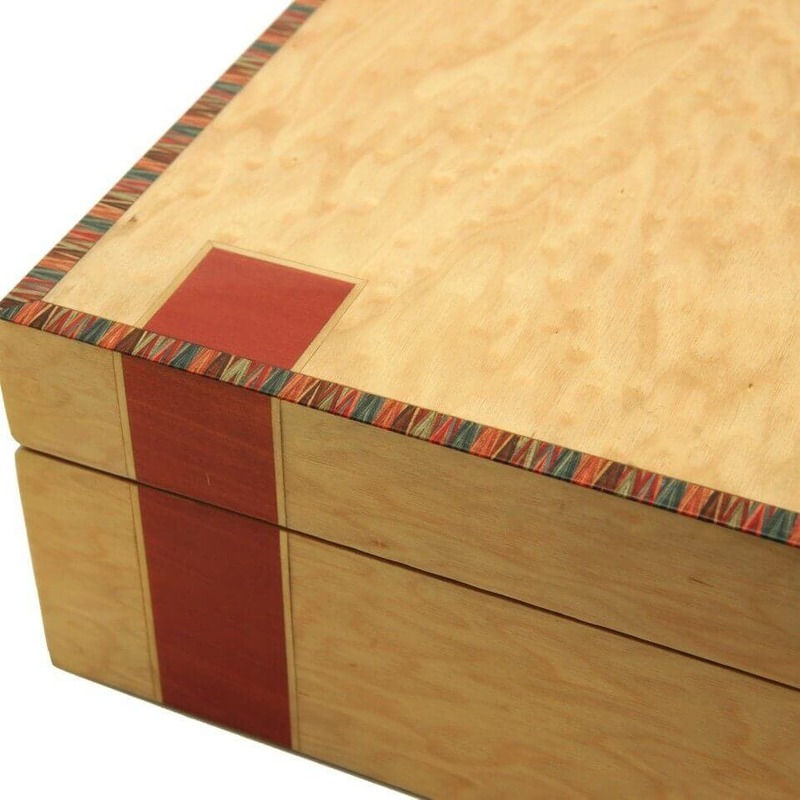 Made from Birds-eye Maple with Multi-color wood inlays . 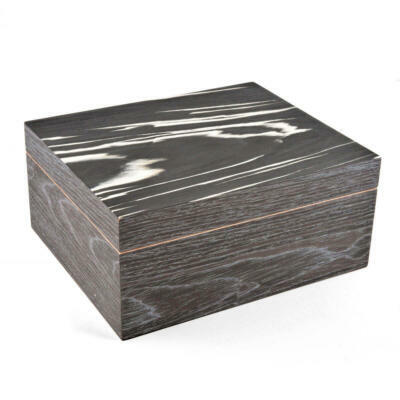 100% handcrafted, amazing detail through out the humidor. 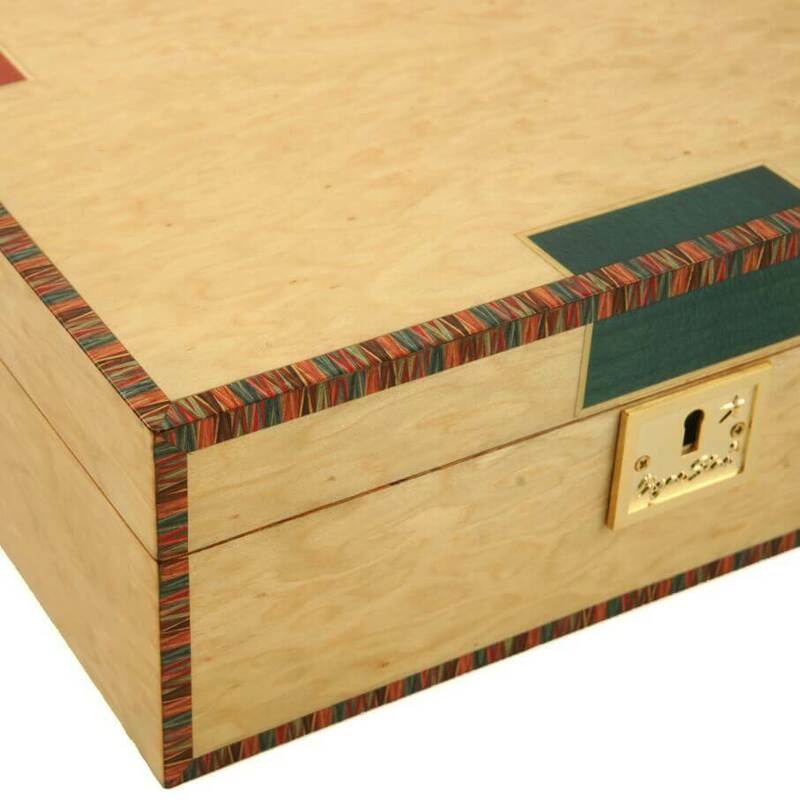 Lock and key to keep little hands out! Spanish cedar air flow rack on the bottom. 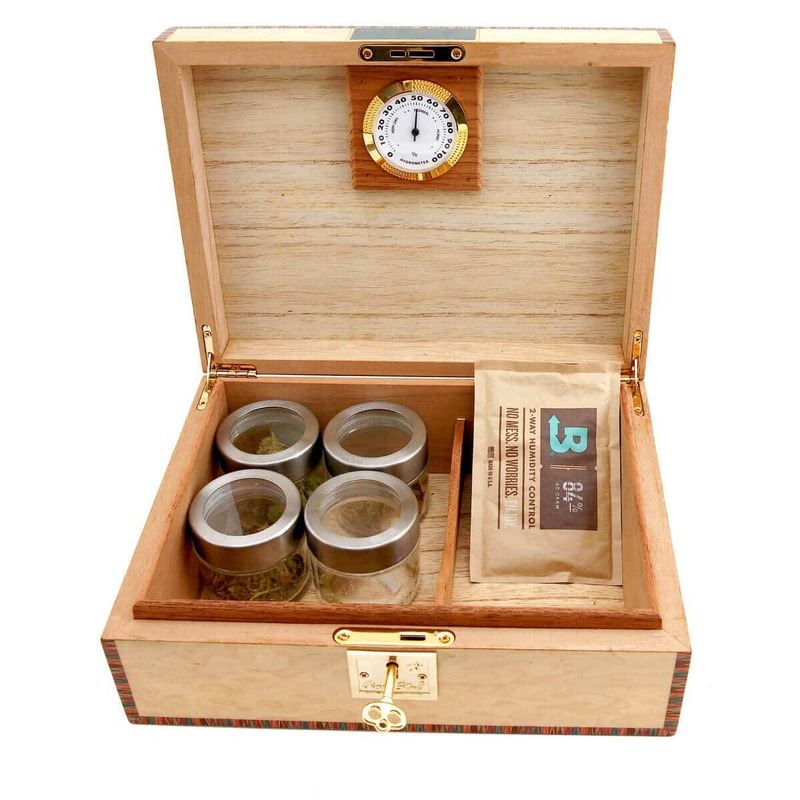 One Boveda 62% two-way humidity pack. 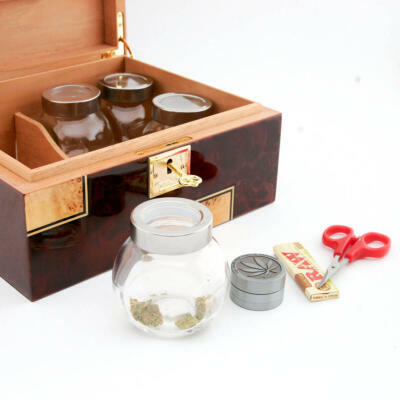 4 – 1/4 ounce Glass Jars With See Through Lids.